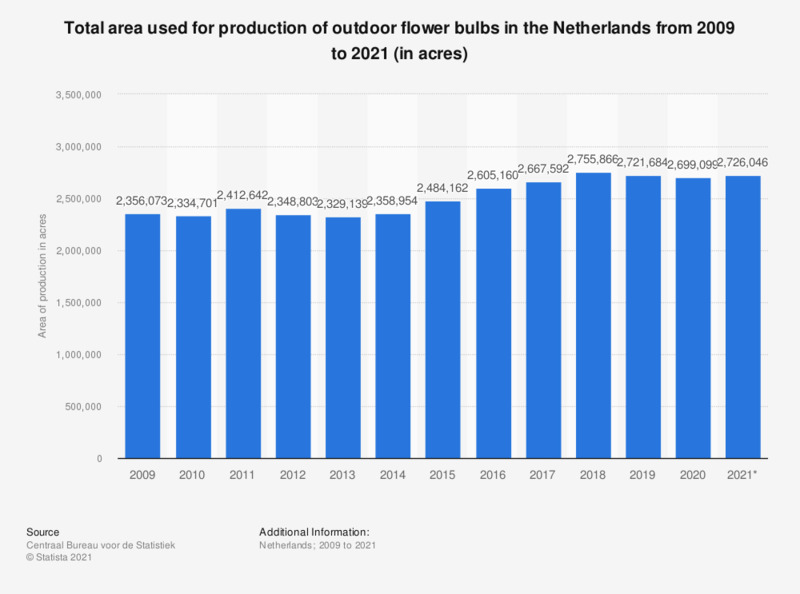 This statistic displays the total area used for production of outdoor flower bulbs in the Netherlands from 2008 to 2018 (in acres). Between 2017 and 2018 the total number of acres increased. Everything On "Flower market in the Netherlands" in One Document: Edited and Divided into Handy Chapters. Including Detailed References.